Summer is here—and that means warm weather, fun-filled days, and a long break from school! But just because school’s out for the summer, that doesn’t mean kids have to stop learning and forget the valuable skills they’ve learned all year. 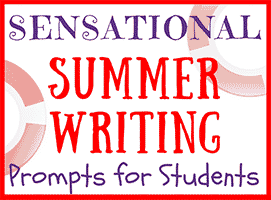 This summer, assign your students some fun summer writing exercises to keep their minds active and engaged. Whether you have them complete a few simple journal entries or ask them to maintain a regular journal, summer writing is a great way to make sure your students keep their writing skills sharp and their capacity for reflection and critical thinking even sharper. And when kids get to write about fun topics like their most adventurous summer memories—or what type of personality summer would have if the season was a person—they’ll enjoy the practice so much that it won’t even feel like homework. 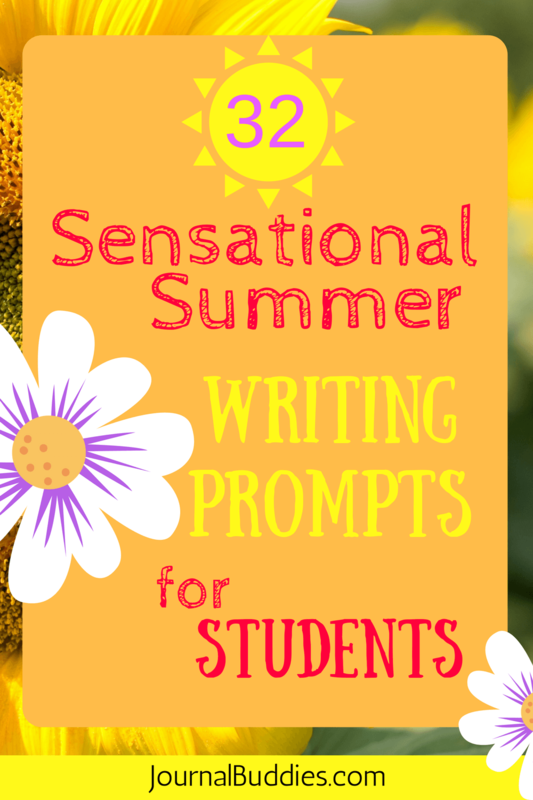 Use these 32 sensational summer writing prompts to keep your students’ minds in tip-top shape all year round—even while they’re busy splashing around at the pool and having fun in the sun! 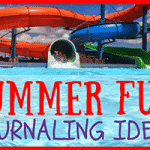 Does your family have different rules or routines during the summer? Explain what changes at home and what stays the same. Describe your ideal summer day from start to finish. Use as much detail as you can. If you could take one part of summer vacation and make it last all year long, which part would you choose? Why? Would you rather go swimming in the ocean or in a pool? Why? If summer were a person, what type of personality would he or she have? Describe summer using each of your five senses. What does summer look like? Sound like? Taste like? Feel like? Smell like? Write a story about a summer that never ends. Is summer your favorite season? Why or why not? How does it compare to other parts of the year? If you could travel anywhere in the world this summer, where would you want to go? Why? What would you do there? 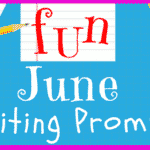 Write about the different phases of summer (June, July, August or beginning, middle, and end) and explain what you like about each one. What is one thing you could do this summer to make yourself a better student in the fall? How would this help you to improve? Think of one thing you can commit to doing this summer to make yourself a better person. Start doing it and then write about your experience in a reflective journal entry. Would you rather spend a fun day visiting lots of exciting places or enjoy time hanging out at home? Why? Do you spend any time studying over the summer? Why or why not? Who are you most excited to spend time with this summer? What will you do together? 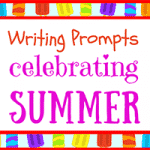 Write a poem describing the way summer makes you feel. Are you more likely to be found playing indoors or outdoors this summer? What activities do you do in each place? Do you get to stay up late during the summer? Why or why not? What is your favorite summer treat? What makes it so delicious? Would you rather spend a summer day at the park, at the beach, or on vacation? Why? What would you do there? 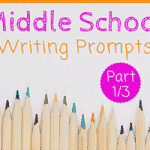 Write a story about a summer in which it inexplicably snows every day. What is the most interesting thing you’ve ever done over summer vacation? What is your favorite thing to do with friends in the summer? What makes this activity so fun? List three things you’d like to accomplish this summer. How will you make sure they get done? What is your favorite outdoor summer activity? What is the best way to spend the first day of summer? Write a “day-in-the-life” profile about yourself and your typical summer day. Do you prefer summer mornings, afternoons, or nights? Why? What is special about each one? 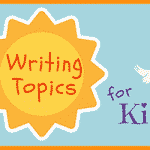 Write a story about a group of kids who have an exciting summer adventure. Does time move slower in summer or during the school year? Why? What do you feel when summer is almost over? Are you sad, or do you feel excited to go back to school and start a brand new year?